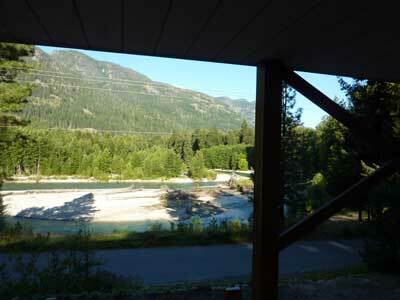 To provide retreat opportunities for small groups in Stehekin, Washington. Churches, businesses, focus groups, etc. bring and prepare their own food, sleep in bunk-room type accommodations, provide their own schedule of events, and enjoy the valley's natural wonders. After raising our family in Stehekin following a 23-year career in the U.S. Navy Submarine Force, we are finally moving forward with our plans to build a retreat center. We are proceeding with plans for a two-building camp with one bunkhouse and one lodge with a commercial kitchen, a dining room, a recreation room, and an apartment for a live-in custodian. Building Rustic Retreat is planned as a three-year project. The entire project is being financed out of our pockets, thus austerity is a must. So far we have screened our own gravel for concrete, done the logging ourselves, drawn our own plans, purchased our own equipment, and we will use our own sawmill to cut the lumber. Rustic Retreat is to be a "ministry of enabling." When complete, this camp for 30 guests will provide a quality place to enable groups to spend time in Stehekin, conduct their own training and discussions, and experience the peace and tranquility of a remote mountain village. While the main camp is being built, we have converted our old home to handle up to ten people in a mini-camp atmosphere. The home is fully furnished, provides a full kitchen, a washer and dryer, and a audio-visual package to play media for local group instruction or entertainment. Groups will be able to come to Stehekin, enjoy the healing powers of natural wonder and recreation, regroup, and become empowered to reengage the world. No roads lead to Stehekin. You must arrive by ferry, fly in, or hike there. Stehekin is … what America was!